Loretta Weinberg, is the Majority Leader of the New Jersey Senate. 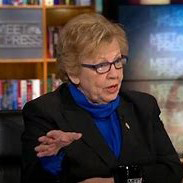 A mainstay in New Jersey's Democratic Party, Senator Weinberg has served as a member of the New Jersey Senate since 2005, where she represents the 37th Legislative District. Weinberg has been recognized as "Legislator Worker of the Year" by the National Association of Social Workers - New Jersey Chapter, The "Friend of New Jersey's Children Award" by the American Academy of Pediatrics - New Jersey Chapter and the "Legislator of the Year Award" by the New Jersey Center for Outreach and Services for the Autism Community (COSAC). She has been selected by Marquis Who's Who for inclusion in the "Who's Who of American Women List".